This paper presents a novel posterior active walker designed for disabled children. The active walker adapts an existing posterior passive walker by motorising its back wheels and propelling them in accordance with intention of walking gait of the user. The gait intention of the user is determined from the position of user’s trunk with respect to the walker frame using an array of sensors. The principle of working of the active walker is explained in this paper. 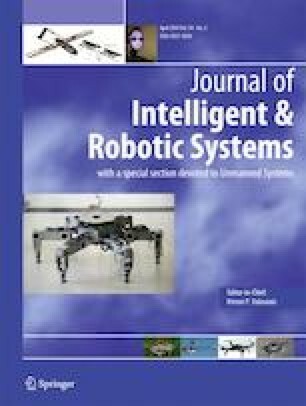 A mathematical model for the active walker is developed and the same has been simulated for a control algorithm developed, which controls the walker in different possible conditions to achieve a comfortable and efficient propulsion. The simulation results present performance of the active walker. The walker has been practically implemented and the details of the same have been presented. The experimental functional evaluation of the walker has been done in the lab which matches the simulation result. Later the developed walker was assessed for its ability to track the user. Three healthy children are made to walk with the active walker on different surfaces and the test results show that the walker is able to effectively track the children. The developed walker was subjected to clinical evaluation which involved ten disabled children who were prescribed use of walker. Clinical study involved relative evaluation of effectiveness of passive and the active walkers. It was concluded from the clinical trials that the use of the developed active walker significantly reduces the energy spent by the user compared to the conventional passive walker. The online version of this article ( https://doi.org/10.1007/s10846-019-01009-x) contains supplementary material, which is available to authorized users.